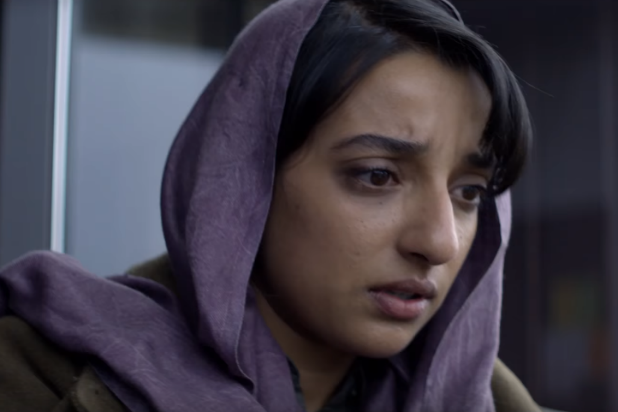 “Black Mirror” wouldn’t be “Black Mirror” if it wasn’t trying to mess with viewers in basically every episode. But the mindf— they snuck into a new episode is on a whole different level, as it was specifically aimed at Reddit users who love to theorize about the show. The fourth season of Charlie Brooker’s twisted, technology-obsessed anthology series dropped on Netflix on Friday, and fans have been picking apart every single moment on social media since. While many Easter eggs that connect the episodes have already been discovered and dissected, one that a Reddit user noticed in the episode “Crocodile” knocked viewers over with its meta-filled intensity. The episode centers around Mia (Andrea Riseborough) who helped her friend Rob (Andrew Gower) cover up a hit-and-run death. 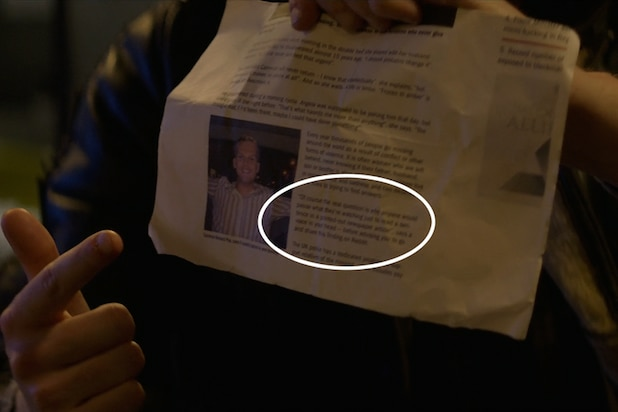 In a scene where Rob comes to his old pal 15 years later, begging for her to let him confess, he hands her an article about the man they killed. Naturally, commenters started freaking out about the hidden message, accusing Brooker — who has previously held an AMA (Ask Me Anything) on Reddit with his co-showrunner Annabel Jones — of screwing with them. “Oh s—… He’s on to us,” one wrote. “The meta has come full circle. ffs charlie it wasnt suppose to be this way,” another commented. “He’s probably here now, relishing in our shock and gathering ideas for new content… He could any one of us,” a user theorized. See the “Black Mirror” Easter egg made especially for Reddit users below. “Black Mirror” Season 4 is available for streaming on Netflix as of Dec. 29. The Black Museum was a fun place to visit at the end of season 4 of "Black Mirror," perhaps because it was basically a house of references to previous episodes from the season. Meta-jokes? Evidence of a shared universe? Whatever the case it, let's take a look. This is one of the mechanical bees from the season 3 episode "Hated in the Nation" -- which murdered a whole lot of people. This distinctive uniform was worn by the hunters on the weird "justice"-focused reality show in the season 2 episode "White Bear." In the background here, you can see what looks an awful lot like the virtual-reality headset from the season 3 episode "Playtest," in which a man (Wyatt Russell) died while playing a game that was constructed to prey on his greatest fears. This notorious box we saw earlier in season 4 -- it was used by Robert Daly (Jesse Plemons) to upload people's DNA into his computer so he could create AIs based on them inside a video game. The lollipop was used to create a digital version of a character's (Jimmi Simpson) young son -- which Daly immediately tossed out an airlock in order to get the Simpson AI to behave. This tablet comes from the season 4 episode "Arkangel," used as a way for helicopter parents to spy on their children. This particular tablet was used by the child (Brenna Harding) to beat her mother (Rosemary DeWitt) nearly to death. This bathtub is from "Crocodile." A man was murdered in it. There's not really anything techy about it. It's just a bathtub. Aside from the items in the museum itself, "Black Museum" contained a couple verbal references to past episodes as well. The two episodes referenced are "San Junipero" ("like when they upload old people to the cloud?") and the "White Christmas" holiday special (copying consciousness using "cookies"). Bonus: while not in the actual Black Museum, one of the stories Rolo Haynes (Douglas Hodge) tells Nish (Letitia Wright) involves this shot of a character (Aldis Hodge) reading a graphic novel based on the season 1 episode "15 Million Merits."